At Friedrich-Alexander-Universität Erlangen-Nürnberg (FAU) more students enrolled for the winter semester (WS) 2011/12 than ever before: to be precise 33,340 students (updated: 18 October 2011) are currently matriculated at the largest university in northern Bavaria. 6,789 first-year undergraduates have enrolled in a course of study for the first time and are now attending their first semester at university. Last year the figure stood at 5,375, representing an increase of 26 per cent. “This means we have successfully fulfilled our ambitious expansion target to accommodate this year’s double intake of school leavers,” the university president Prof. Dr. Karl-Dieter Grüske sums up in response to the overall development. This marked increase is proof once again of the appeal of Friedrich-Alexander-Universität Erlangen-Nürnberg”. For the first time, the FAU belongs to the twelve largest universities in Germany. In terms of university enrolment, male students are ahead by a nose for the first time in eight years. The abolition of compulsory military service has led to the fact that 3,482 (51 per cent) of freshers are male. On the whole, however, the majority of students are still female. They make up 16,834 (more than 50 per cent) of all students, putting them just in front. An increase in the number of foreign students can also be observed. At the start of the semester 2,634 students from abroad had enrolled at the FAU (previous year: 2,537). As enrolment for this group of students is still open, the number will continue to rise slightly in the coming weeks. Most foreign students register at the Faculty of Engineering (788), with the largest proportion of students coming from China (303), followed by Turkey (259) and the Russian Federation (157). The student with the longest journey behind him comes from New Zealand. 258 students come from Germany’s immediate neighbouring countries and 1,519 from the rest of Europe. Overall, the FAU is currently host to students from 108 different countries. A source of particular satisfaction is the fact that the faculties to have recorded the most significant increases are those which the FAU purposefully expanded in order to cope with the double intake of school leavers. As such, the number of first-year students to enrol at the Faculty of Law and Economics rose by 43 per cent from 1,223 in WS 2010/11 to 1,751. In the Faculty of Engineering, the number of students to enrol in the first university semester rose by 26 per cent, from 1,567 in WS 2010/11 to 1,972. Other faculties can also report a considerable increase in first-year enrolment numbers – a rise of roughly 26 per cent for the Faculty of Natural Sciences and a 20 per cent rise for the Medical Faculty. The Faculty of Philosophy and School of Theology has also recorded an increase of 13 per cent. With 9,289 students, the Faculty of Philosophy and the School of Theology remains the FAU’s largest faculty. 1,569 students matriculated for the first university semester, compared to 1,386 in winter semester 2010/11. The Faculty of Philosophy is the faculty with by far the largest proportion of women, totalling 71 per cent. The most popular subjects here are for example Educational Science with more than three times as many first-year students as the previous year (237 in WS 2011/12 compared to 66 in WS 2010/11) and also Theatre and Media Studies with 161 first-year undergraduates matriculating compared to 89 in WS 2010/11. In WS 2011/12, the Faculty of Philosophy introduced some joint degree bachelor programmes which can be studied as a part-time course for the first time; these include History, Educational Science and Economics. In WS 2011/12, a total of 7,523 students enrolled at the Faculty of Law and Economics – almost 1,300 more than the previous year. 55 per cent of those students are female, as opposed to 57 per cent the year before. 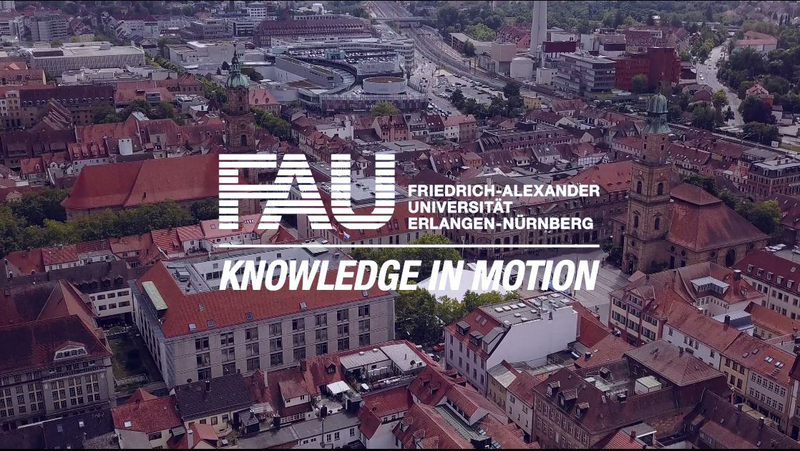 The Economic Sciences bachelor programme is in very high demand and has enrolled 893 freshers, more than any other course of study at the FAU. When compared to the previous winter semester this represents an increase of 52 per cent. The Faculty of Law has also proven to be extremely popular with first-year undergraduates – with 380 freshers choosing to study law (+ 37 per cent), compared to 278 in WS 2010/11. In winter semester 2011/12, 3,068 students enrolled at the Medical Faculty, 272 of whom were starting their first university semester (previous year: 2,929 and 226). Of these 3,068 students, there are 1,947 female students as opposed to only 1,121 male students. The 37 places available to first-year students wishing to study Molecular Medicine are in high demand – more than 1,100 applications were received for this bachelor degree programme, in which a total of 127 students are currently matriculated. In cooperation with the Vocational School for Speech Therapy in Erlangen, the FAU is now also offering a new programme of study which is the only one of its kind in Bavaria. As of WS 2011/12, it is now possible to study a B.A. in Speech Therapy at the FAU and so far 15 people have enrolled for this course. The Faculty of Natural Sciences has recorded an increase from 4,388 students in winter semester 2010/11 to 5,159 in winter semester 2011/12. Of these 5,159 students, 1,225 are in their first university semester, as opposed to 973 students the previous year. The ratio of male to female students at the Faculty of Natural Sciences remains relatively balanced – with 2,496 female students accounting for 48 per cent. The Geosciences saw a substantial increase with 115 first-year students enrolling – compared to the 47 first-year undergraduates last year, this is an increase of 145 per cent. Other bachelor programmes offered at the Faculty of Natural Sciences are also in demand and have seen a considerable further increase on the previous year. By way of example, the number of students enrolling for their first semester in mathematics has doubled to 56 students and chemistry has recorded 106 new enrolments, a 58 per cent increase. The Faculty of Engineering provides undergraduates with an extremely attractive offer. The 1,972 freshers who have chosen an engineering degree course constitute almost a third of all first-year students at the FAU. The total number of students to enrol in its winter semester 2011/12 totalled 8,391 – more than ever before. Within the space of only five years the number of prospective engineers at the FAU has almost doubled: in WS 2006/2007 it was only 4,416. Computer Science is the front runner when it comes to enrolment, witnessing an increase of 106 per cent (144 students in their first university semester). Materials Science and Engineering and Power Engineering come a close second, reporting increases from 81 and 73 per cent to 85 per cent and the enrolment of 256 first-year students. The Faculty of Engineering’s most sought-after course of study is Mechanical Engineering with 274 first-year undergraduates (+ 64 per cent). The proportion of female students remains the same as the previous year totalling 19 per cent.